Have you ever thought what could happen to your business should disaster strike? Any sort of disaster, whether natural or accidental, can have tremendous effect on your business. From loss of time to loss of data, it can be a detrimental situation. Being prepared is key, one of the best benefits of Cloud Computing is the flawless backup of your entire data system offsite. With fast & total recovery in the event you need it. And if you've already taken the steps towards modernizing your telecommunications systems to our Cloud Solutions, you're one step closer! 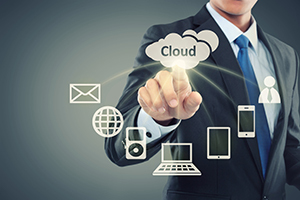 Contact us today to learn more about this service, as well as other benefits the Cloud can bring to you!